Kitties love hanging out laundry as much as I do. 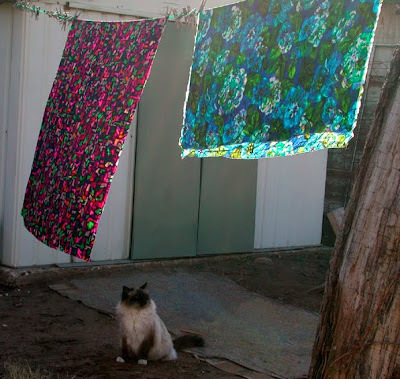 These vintage fabrics were being prewashed for kitty beds. 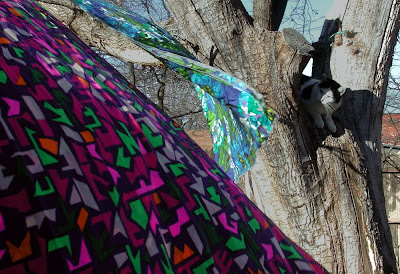 Betty has a treeside seat for the laundry show, while Alvin watches from below. These fabrics are part of a group of fantastic vintage yard goods I got via kitty-bed swap with blissvintage, a delightful Etsy artisan in Canada. Haha! Cute kitties... I love that vintage fabric!